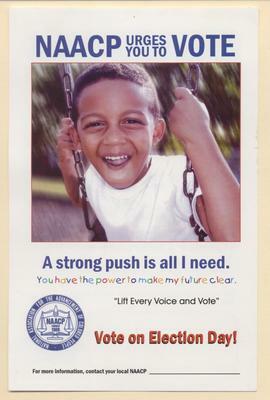 "A strong push is all I need"
Printed card (front, color) - National office of the NAACP voter participation drive. "NAACP urges you to VOTE. A strong push is all I need. You have the power to make my future clear. Lift every voice and vote. Vote on Election Day!" ca. 1990s.